Enjoy the decadent entertainment of luxury casino games at Ruby Fortune! 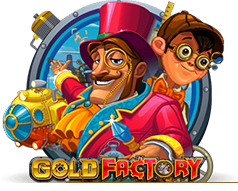 Find more than 500 top games that give you the chance to win opulent real money jackpots at Ireland’s finest online casino! Powered by Microgaming, one of the world’s most respected software providers, our casino has all the games and services you need to make gaming at your convenience an absolute pleasure. Sign up to play slots, blackjack, roulette, and many other games when you’re at home or at the office. The amazing graphics, animations, and special effects are bound to keep you coming back for more. Get ready to place bets that stand a real chance to win, as all our game results are produced by a random number generator that has been certified by an independent testing lab. At Ruby Fortune, we believe in incredibly fair gaming and always strive to ensure that our players are happy with both the selection of games as well as the game play. Gaming at Ruby Fortune is all about convenient quality entertainment. This is evident not only in the games we offer, but also in the playing options. The first step to playing casino games for free or for real money at our casino is to decide how you want to access them. We offer you two ways to do this; one of which requires a software download. You can download our cutting-edge software for free. Choose this method to be able to access all of our games with a click of your mouse. Downloading our software isn’t the only way to play games at Ruby Fortune. If that’s not an option for you, enjoy our no download games, which you can play in browser. Use an accepted payment method such as a credit card or e-wallet and Ruby Fortune’s encrypted banking service to deposit real money into your account. When you’ve done that, you can play our casino games and enjoy the thrilling possibility of winning glittering jackpots. We know that not every player in Ireland wants, or is confident enough, to play real money games. If you want to keep your gaming light-hearted, or if you want to build up your skills, you can play for free. Look no further than Ruby Fortune’ online slots for polished gaming that provides sparkling entertainment. Find video slots with five reels and special features such as Wilds, Scatters, and free spins, enjoy classic slots with three reels and traditional symbols, and experience the thrilling action of slots with progressive jackpots. Tomb Raider, Thunderstruck, and Mega Moolah are just some of the top slots you can play with us. Ruby Fortune’s collection of hundreds of casino games also includes an unbeatable range of blackjack, roulette, and video poker games. In addition to these true classics, you can also find baccarat, craps, keno, scratch cards, Sic Bo, table poker, and many others. Whether you’re looking for card games, dice games, table games, instant win games, you can find them all at our casino. Sign up at Ruby Fortune, and explore the infinite possibilities offered by Ireland’s best quality casino games now!